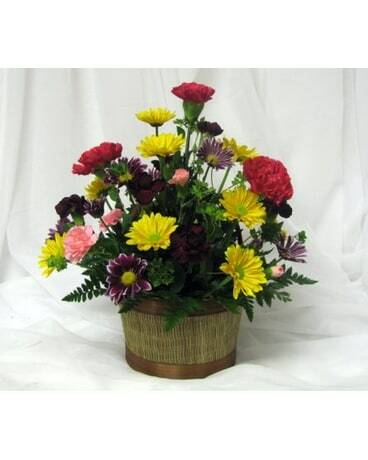 Basket filled with pink carnations, yellow and purple daisys, and mini carnations. Approx. 15in x 15in.